Mulberry School was located in Ninevah Township (Sec 11, Twp 64, Rg 16) of Adair County about 4½ miles northeast of Novinger. We don’t have a founding date for Mulberry, but do know that it was in operation by 1866 when there were at least three sub-districts in this township and range. According to county histories, the school likely maintained a steady enrollment in the low seventies for most of its existence with 72 students in 1887 (Goodspeed, 1888) and 74 in 1911 (Violette, 1911). The rosters in this collection, a gift of James M Miley of Kirksville, indicate an enrollment range of 70 in 1907-08 to 90 over the 1909-10 school year. Attendance at any one time was never as high as total enrollment for the year, of course. 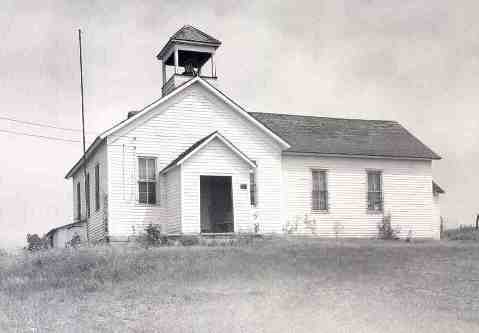 In the late 1940s, enrollment had fallen to 23 or 24 students each year and by the late 1960s Mulberry and other rural schools had all consolidated with the larger town systems. Left with only three sub-districts, the County District was dissolved in 1968 and three independent districts were created: Novinger R-I, Brashear R-II and Kirksville R-III.